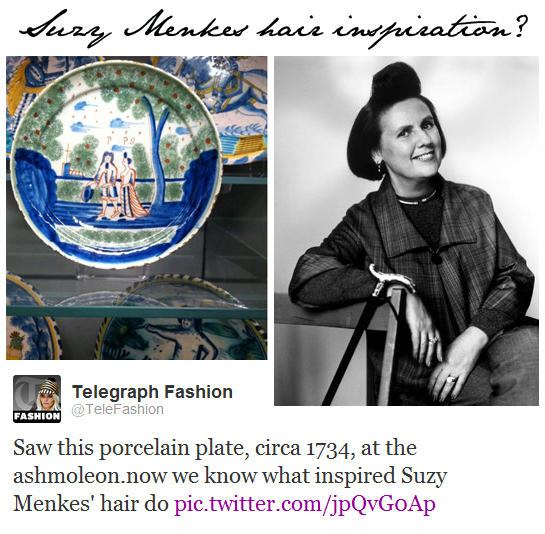 The Telegraph Fashion twitter account called out fashion editor Suzy Menkes today as they posted a picture from Oxford's Ashmoleon Museum. The picture was of a porcelain plate from the early 1700s and depicts a woman with a "raised fringe" of sorts. Well, to be honest, that is 100% trademark of Suzy Menkes so we have to say they got it right on the money! 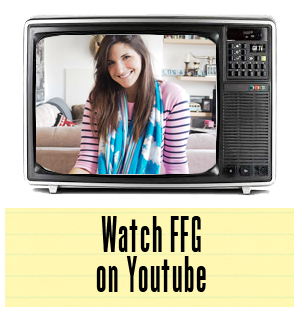 The world has often wondered what inspired Samurai Suzy's distinctive do! Now it looks like the Telegraph has finally revealed the answer... In all honesty, there is nothing but flattery in this post as Suzy is a fashion icon for one and all. Not many could get away with such a dramatic bouffant! For those of you that are unfamiliar with the legend that is Suzy Menkes, let's just say she's one of the most respected figures in fashion journalism today! She's been the fashion editor of the International Herald Tribune for over 20 years and has played a massive role in influencing what we see marching down the catwalks today. She's also received an OBE in Britain and has been honored in France with the Legion d'Honneur. Some call her the godmother of modern fashion journalism and I would have to say those folks aren't far off the mark!